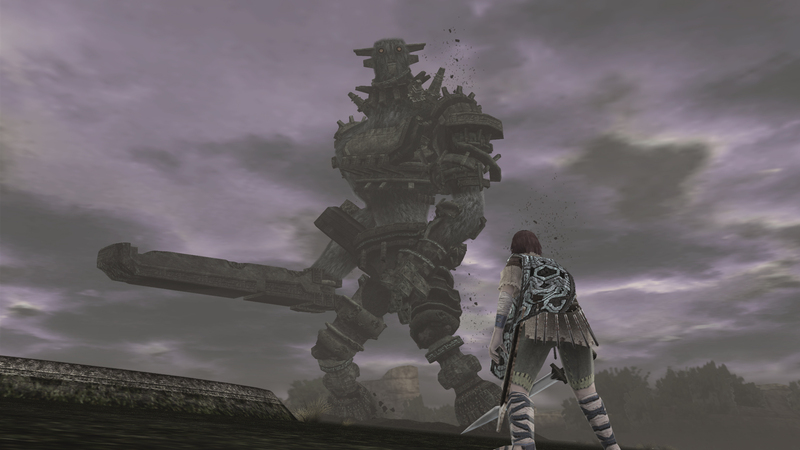 I spent some time recently playing through the remastered versions of Ico and Shadow of the Colossus on PS3, since they’re rather iconic games. Ico was a disaster for me. I spent so much time being lost or struggling with the controls. It often took me a long time to figure out a really obvious puzzle, just because the controls made it seem harder than it was. The worst offender was when there’s a piston that throws you into the air, and you have to jump at the right time to go even higher. I tried this a few times, never getting the strict timing quite right, and decided that this was not the way to do it. I then spent an hour stuck in that room. That basically sums up my experience with Ico I guess. The story also flew over my head completely, as by the time I got to the ending, I had forgotten what had happened at the start of the game. I’m still happy I played it though, because it was a beautiful game with some unique mechanics. Shadow of the Colossus on the other hand I enjoyed immensely. The controls of the horse were not very intuitive, and it took me some time to get used to that, but besides that I had a great time with the game. It was unlike anything I had played before – very minimalist game design with nothing to do but slay huge foes. Since the central challenge in the game involves climbing giants that are trying to shake you off, the stamina system works very well (I’ve never played a game with a fun stamina system before, personally). You need to do a bit of climbing and then frantically find a place to rest before you drop off like a dead bug. The pacing and feel of the game is amazing. You first spend 10 minutes or so travelling a mostly empty landscape looking for your target, with just the sound of the wind playing. Once you’re nearby, some foreboding music starts, and you start getting anxious. You have no idea what the foe looks like or what it can do. Then a huge creature appears and charges you. Battle music starts. You have no idea how to fight it – it’s dozens of meters tall and has armour on most of its body. After trying frantically to stay alive you notice a weak spot, or some feature of the terrain that you can use against it. Your fear turns into excitement as you realise you can kill this thing. Once you start climbing onto the beast and attacking its vitals, the music ramps up to epic levels. You cling on while the monster thrashes around, waiting desperately for a chance to finish it off. Then it dies and everything is quite again. It’s so satisfying to play. Well, most of the time. Many of the battles are excellent, while admittedly some are a bit dull. But the best fights were truly memorable, and the *feeling* of the game is communicated effectively through gameplay mechanics as well as the sound and visuals. I recently played Rise of the Tomb Raider, and while I enjoyed it, the climbing and action parts have little impact. There’s checkpoints every 20 seconds, and the action is totally over-the-top constantly. Almost no punishment for failing, and little build up or contrast in pacing. I think Shadow of the Colossus does it right. You don’t die easily, but falling does require you to climb up again, and each battle is different, so taking them seriously is rewarding. Anyway, it’s a great game, even without any nostalgia goggles on. Pacing is something I need to try harder on in my games, as it’s quite hard to test for personally, and I generally scatter story and battles at random. It’s hard to review my own games as I can’t ever experience them properly. This entry was posted in Game Reviews on April 24, 2017 by Matt Roszak. Shadow of the Colossus I played too much the first version of him, from then on I did not follow so much, I do not know what it has in him for him to be so different from the others (Bully for example). Excuse my English, I’m from Brazil. There will definitely be more story battles this time! Oh cool, hope it’s good! 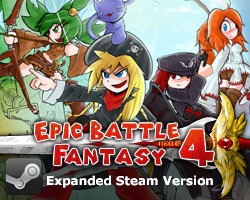 I feel like the pacing in EBF 3 and 4 are both pretty good – particularly in EBF3, it always felt like I was moving on and never stuck at one point. Even the somewhat notorious desert puzzle is simple enough after you spend time learning it. 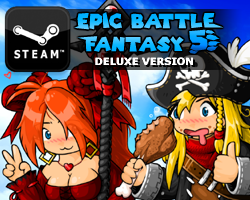 EBF 4′s pacing was also pretty good and didn’t have any huge problems either. One small problem I have – which a few people have pointed out as well – is the Factory area and the battery puzzle within it. I think it’s around here where the pacing takes a hit, and you spend a lot of time going back-and-forth and not really doing much before fighting the Praetorian.